Just wanted to thank you guys for making a linux version of Escribe. I wasn't aware it existed until now so I've been going on for months without the software!! Works great, didn't even need instructions! So far, no bugs detected. Plug and play. Just registered to the forum to say that when this will be ready I'll finally start to search for a DNA mod! Amazing. Why wait? This software works! I can do anything with it that I did on a Windoze box, haven't found any bug. You will never regret buying a DNA mod, they're the best. I kept buying other cheaper mods because none could really satisfy me. Now a year since my DNA purchase, I haven't bought another yet (but I will buy the 250C when available for that replay function). Well, the "beta" in the thread topic was making me wonder if this was stable or not. Amazing then, gonna shop for my first DNA today! В последней сборке EScribe2_SP12_INTL, присутствует ошибка. В настройках экрана, бывает самостоятельно выставляются значения, которые я не выбирал. А может просто считываются не правильно с устройства. Well, I installed last week - almost zero issues on ubuntu. Today I got my two vt133's - HUZZAH! I even managed to configure one of them.. Mostly. I am not seeing anything on the MOD tab at all, not even after Advanced and whatnot. I wanted to verify the dual 18650 config; insure it was dealing with 25R's and VTC5a's. No can do. What is written in the mod tab? I am not using the linux build ATM, but on windows Escribe you need to change Options - User Interface to Advanced or Manufacture to get to the mod settings. UM, I followed the centered, justified text: neither advanced or research or other "works".. All that is visibile is that text. That is what you would see in Windows if you had Options - User Interface set to Clean. added a bit more info. I can confirm, actually, none of the entries in the help menu do anything for me. The screen setting does not work correctly. If you select after firing-> screen off, and then set another parameter, the screen will be turned off anyway. @Pop7335, are any menus working for you at all? What window manager are you using etc.? Anything out of the ordinary? I can DL from the vt133, twiddle a few settings, icons, upload.. I can device-monitor, but it seems a little wonky. Nothing related to the [MOD] or [RESEARCHER] tabs works at all. Nada. Zip. I managed to get Virtual Box and some god-knows-the-source WinXP and win7 to work with the Vt133's, USB, escribe and Firefox. (and win7 is like 2-3x slower than XP). In both cases, those VM's can do everything as folks expect with Escribe. (I have not managed to set up a shared directory for the VM, and don't much care anymore). I can state that "Temperature (std)" SCREEN (on the vt133) lists nothing under a "POWER" profile with 'WATTS' as the material on the vt133. I have no idea if that is normal, but it's a fact. 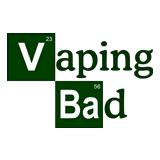 Indeed, so far I can safely say: I see no use at all for TC mode - I can't vape anything under them.. Plenty of vapor, just completely.. "meh". OTOH, I find I can enjoy the griff25 and v1 Aromamizer under WATTS. Yes. The Linux beta needs more work. Sort of surprising, since MONO is .NET for other platforms'. Even flyover help and proper feedback to clicking the file (load?) and disc (save?) icons - and many menu options - are just.. No effect or no VISIBLE effect. What window manager are you using etc.? Is your configuration out of the ordinary? Thank You for this project James You have done a stupendous job. I have just downloaded it and it installed without any trouble on Antergos (Arch-Based) I hate using Windows for anything! I love Linux too much. I've been having similar issues where some things weren't working properly... that was with the standard Unity GUI. Once I switched to Gnome (compiz), all the features that didn't work were suddenly available. Would love to see everything work properly in Unity (although, is it still worth it if Ubuntu is going to drop Unity and revert back to Gnome? ), but I'm at least happy I don't have to fire up a virtual machine anymore just to run Escribe in Windows. 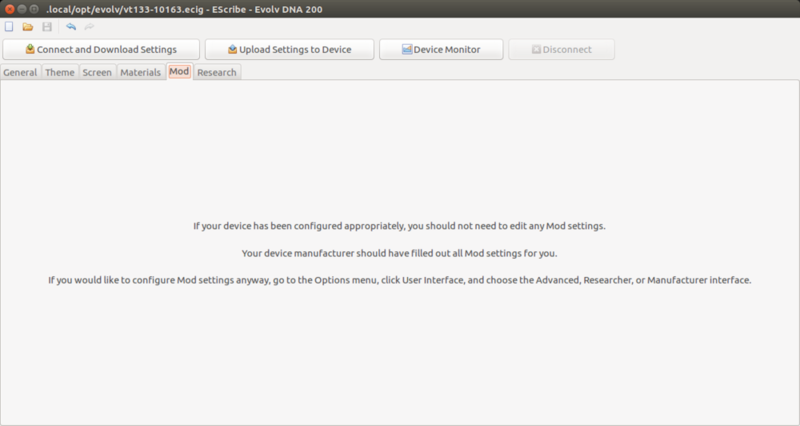 I've posted up the Linux version of EScribe Suite 2.0 SP13. @Pop7335, @Suomynona, out of curiosity, how are you launching EScribe Suite? From the icon? The script the icon launches is set up to move the menu bar into the application, avoiding bugs with Ubuntu's unified menu bar. It works for me on Ubuntu 16.04 with Unity. @JamesIn unity, I just opened it from the main menu and pinned it to the launcher for future use. In Gnome, it's listed under "other applications" in the main menu. Haven't pinned it or created any other links to it. When I click the link to SP13 in the 1st post of this thread... it still points to SP12 :). It wasn't exactly hard to find where y'all had put it :). For the first time ever, I've plugged in all my DNA devices (as I usually do after an Escribe update) and not had any squawk for a software / firmware update for the boards (we're talking 200 / 75 / 60 / 250 / 75C). Quick and clean update it is then! :). Had that issue to in unity. After update, a few weeks ago, everything works. Maybe my terminology was lacking? I haven't had one problem so far except for lacking that "replay" feature. ;0) Waiting patiently or at least trying to act that way. I installed the latest update (SP13) and honestly speaking, I don't see much difference. In Ubuntu Unity I'm still having issues with all the items in the main menu (Tools / Help) and it's still all working when I exit Unity and log in in Gnome. If I can help sending you log files or anything, just let me know.